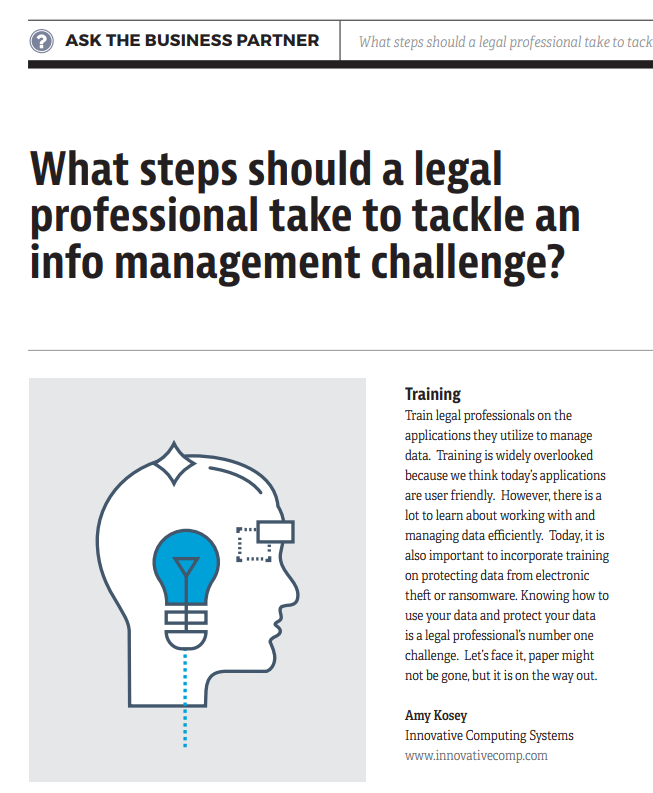 What steps should a legal professional take to tackle an info management challenge? 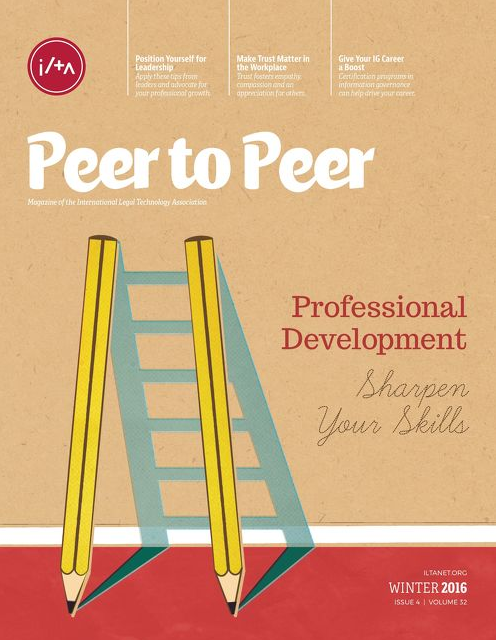 "What steps should a legal professional take to tackle an info management challenge?" The 2016 International Legal Technology Association Convention continues in Washington, D.C. today. At the convention, they issued their 2016 ILTA/InsideLegal Technology Purchasing Survey. The survey, conducted annually, provides a snapshot of law firms' and legal departments' IT spending, challenges, planning and other information. The cloud has been proven to be as secure as hosting technology within the walls of a law firm, and provides many additional benefits that can't be achieved with enterprise-wide systems. Hosting infrastructure in the cloud means firms can scale up or down when more or less space is needed, allocate fewer precious budgetary dollars for hardware and steer away from the peak and valley spending that comes with investing in enterprise solutions. The cloud is now a viable option for most small to midsized law firms, but how do you get there? 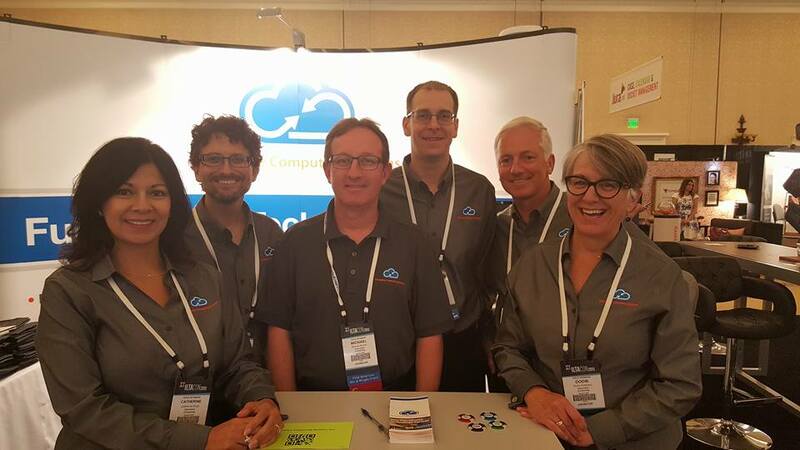 Teams from Innovative Computing Systems have been attending the annual International Legal Technology Association's Conference (ILTACON) for about nine years. We're almost certain this was one was the best conferences yet. We can say with absolute certainty it was one of our best trade shows ever! We truly enjoyed being stopped in the hallway by old friends, meeting new attendees, attending the many sessions and demos and, generally, enjoying being around those interested in legal technology and its usefulness for law firms -- from the smallest to the largest. This year’s International Legal Technology Association’s annual conference (ILTACON) and trade show will be my fourth one. For those of you who haven’t previously had the opportunity to attend, here’s some advice on making the most out of your first – or even second or third – visit to ILTACON. 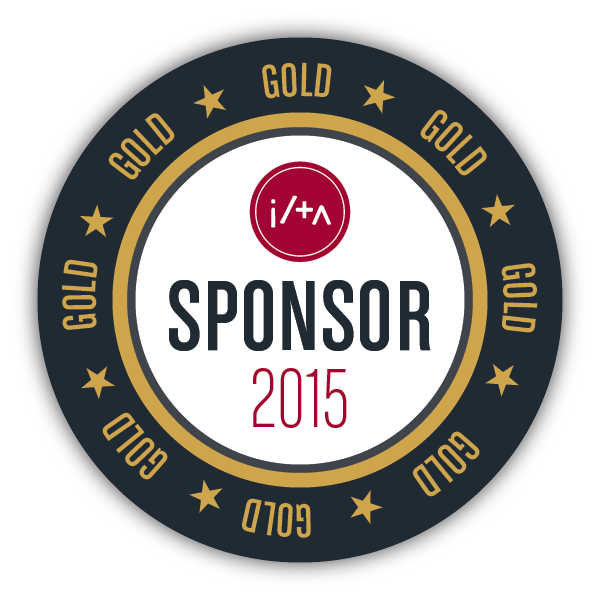 We're proud to be Gold Sponsors of this year's International Legal Technology Association's annual conference!